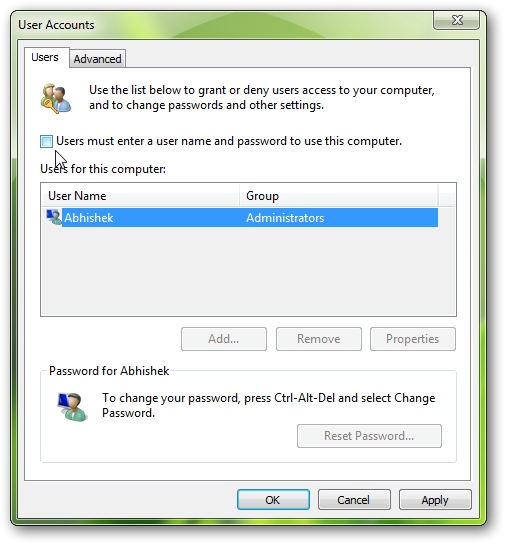 If you are the only person who uses Windows 7, then you may not have a security risk or need for the protection of privacy for this reason you can configure Windows 7 for automatic logon of the user without the requirement for a username and password to enter to speed up the startup process in Microsoft Windows 7. 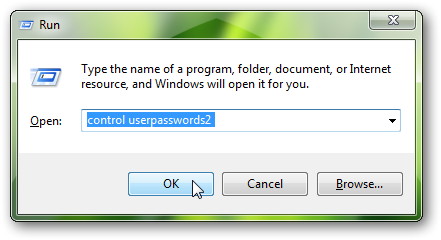 Click OK to close the Window and then click OK in the User Accounts dialog box. So, your account is secured by a password, but you will not prompted to enter it during logon in Windows 7. This Article Has Been Shared 6755 Times! Thank you for the comment. TheCustomizeWindows.com is updated daily, consider subscribing to our daily newsletter (icon+link on header) to stay tuned. 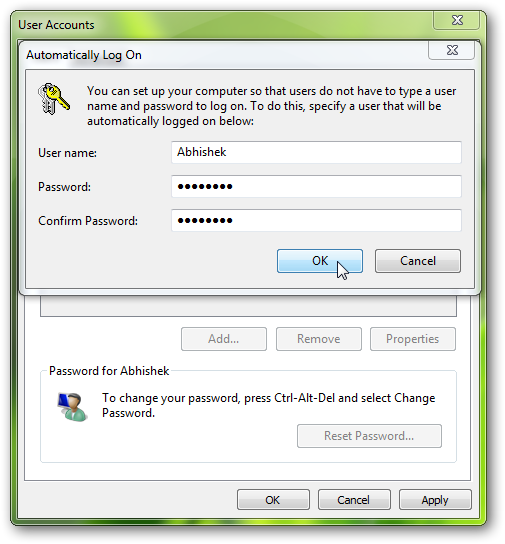 Cite this article as: Abhishek Ghosh, "Log on automatically in Windows 7," in The Customize Windows, December 16, 2010, April 24, 2019, https://thecustomizewindows.com/2010/12/log-on-automatically-in-windows-7/.